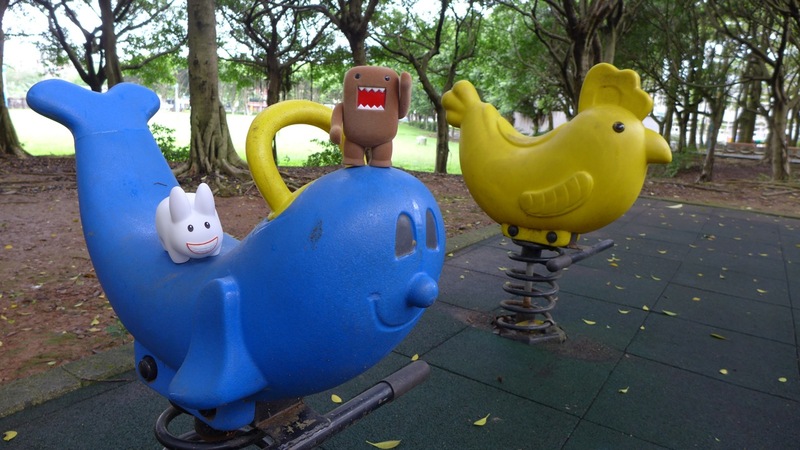 There are a lot of public parks in Taiwan. They are often clean, have nice rubbery padding underfoot, and are full of fun things for both children and grown ups. Pipkin and Domo spent some time riding on these colorful, springy animals. Then they played on this quad see-saw. Between the see-saw and the spring animals you can see some exercise equipment. There's an elliptical on the right. In the center is a turning wheel that's great for loosening up the shoulder and rotator cuff, and on the left, hard to see, is a pull up bar. 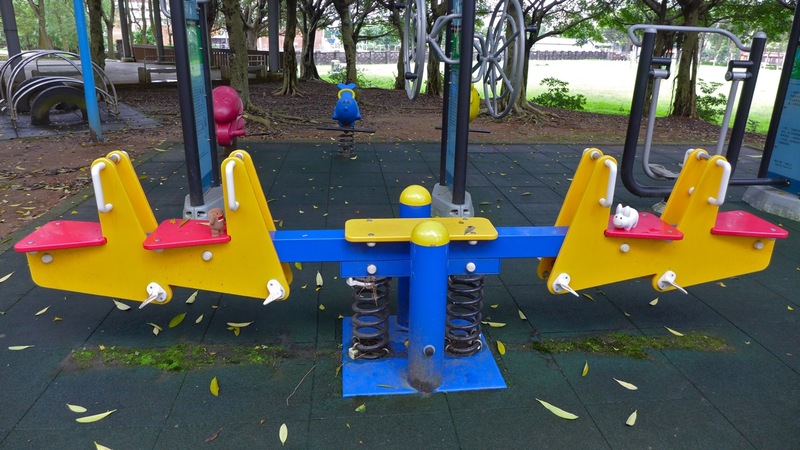 Many parks in Taiwan have exercise stations so grown ups have something to do while watching the children play. 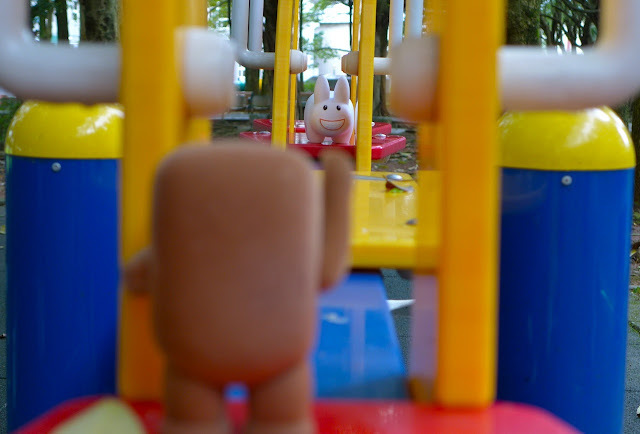 This park is empty right now, but in the evenings, parks are full of people and children and grown ups all use the exercise equipment! This one park in Taipei had a lovely walking path and 12 stone benches, each representing an animal from the Chinese zodiac. Look, it's the Year of the Rabbit!! 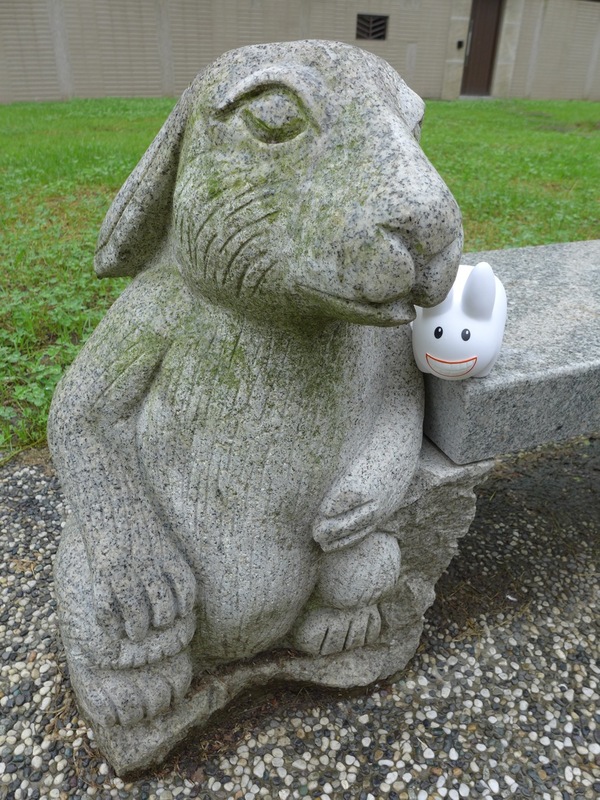 Boy, did this stone rabbit have stories to tell. 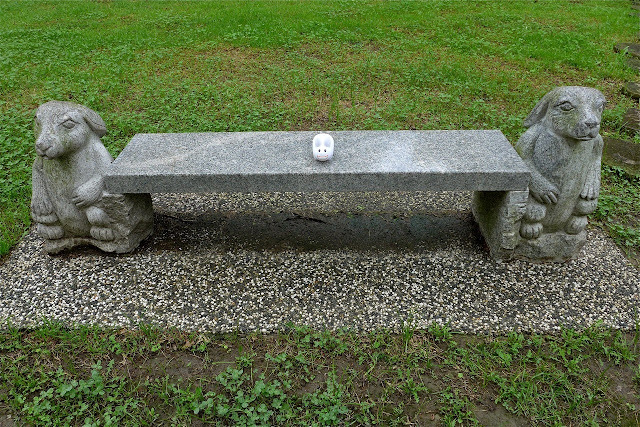 A lot of people sit here and this rabbit sees it all. Pipkin's a good secret keeper so, if you want the latest in Taipei gossip, you'll have to head to one of these parks yourself. Pip chatted a while but then said his goodbyes to the stone rabbit, to the park, to Taipei, to Taiwan! He and Domo are super excited to head to Hong Kong!